What would you feel if there’s someone using your computer when you're not there? What if you didn't know that they already installed a spy software to your computer? Would you be upset if someone was spying on your computer? Well, if those bad scenarios will happen there is only one spy tool that I can recommend. The “Computer Spy” or better known as Stealth iBot Computer Spy made by Brickhousesecurity.com. This tool is absolutely powerful than others. It has undetectable total Computer spying tool which covertly monitor and log everything like; password, chatting, photos, remember visited website, suspicious activity and many more. Stealth iBot Computer Spy will allows you to discreetly spy on your computer even if you're not there, without any signs of it happening. Even if the user is log-on in different user account. Isn’t that good? Compare with other traditional spy software. The Computer Spy tool is never left behind, while others need to always remain plugged into the computer. 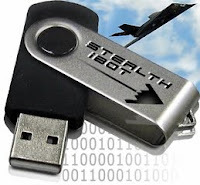 Another good thing about this Computer Spy tool is; the product itself can record up to 10,000 screenshots, and capture up to 1GB of data without any hardware to install. All captured screenshots is locally stored and strongly encrypted with a unique key for each device, and it can be run in any type Windows OS like XP, Vista and Vista Sp1. Wow! that’s sound great isn’t it? Watch the video below to see Computer Spy in action.